Errol French - one of country NSW's most prolific owners - passed away late last week following an extended battle with illness. The bulk of Errol’s horses were easily recognised by racegoers as the vast majority included the word 'Blinkin' in their name. Errol has been racing horses in NSW for over 30 years and records show that since 2000 he has registered at least 170 horses in his sole ownership, and that does not include the many broodmares and horses he has also bred. 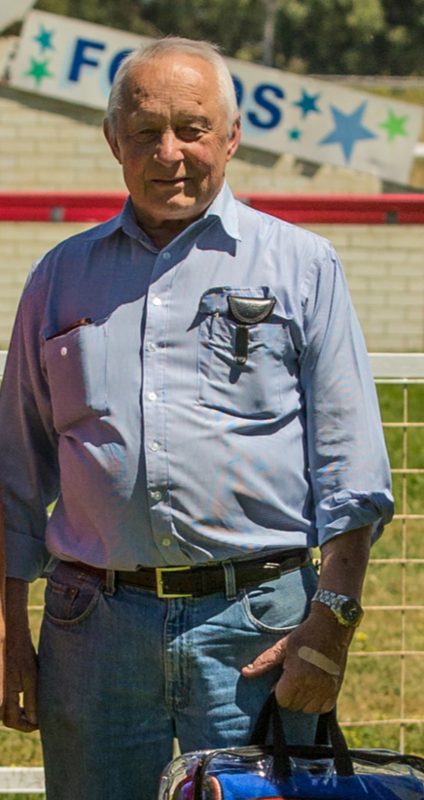 The majority of Errol’s horses were prepared by Ross Stitt at Taree, however, over recent years he had spread his horses over a number of trainers and in different districts of NSW. At the time of his passing he had horses in work with Ross Stitt at Taree, Sue Grills, Craig Clegg and Stephen Dixon at Tamworth and Clint Lundholm at Dubbo. Some of his better horses over the years include Blinkin Quick which won 16 races and Clan McClymont with 12 wins whilst under the care of Ross Stitt. Also, Blinkin Easy which won 14 for Ruth Cooper. A service to commemorate the life of this wonderful racing man will be held at the Tamworth Racecourse on Thursday, 29th November 2018 commencing at 10:30am.